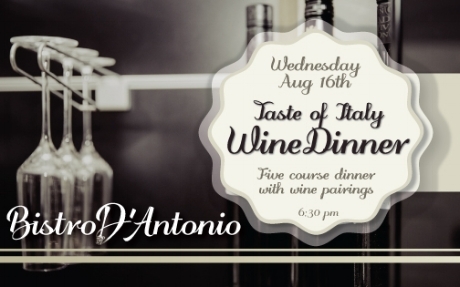 Join us Wednesday, August 16th for our very first wine dinner! Our four course Italian dinner with wine parings from all over Italy will be sure to satisfy! Bring your friends, bring your partner! We're all family here! "A day without wine is a day without sunshine"